Well my Wrapped In Love CAL is finally over! Boy was it GREAT! 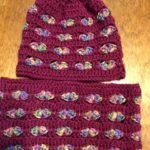 Because I had such a great response, I want to share my Wrapped In Love Set crochet pattern with you! 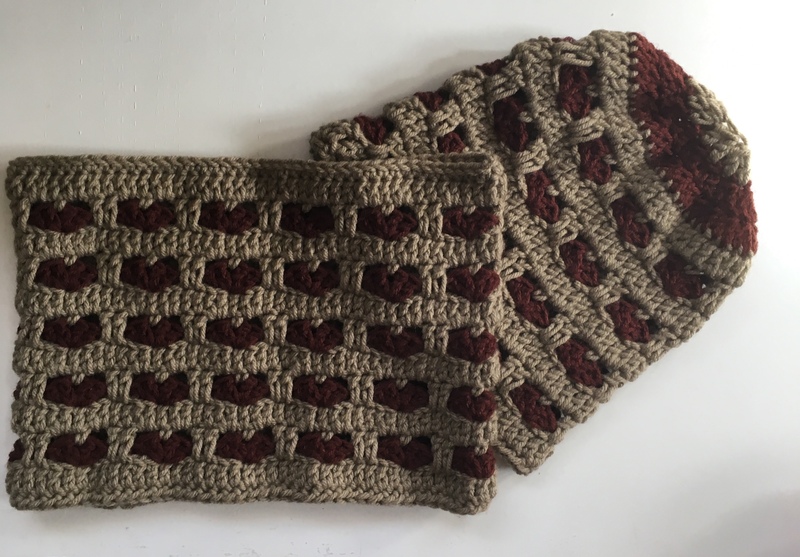 Also the Wrapped In Love Set crochet pattern is a great one to do for Valentine’s Day! You can show YOUR Valentine or loved one the LOVE you have for them! The original crochet pattern has 3 sizes to choose from: Child, Women, and Men. Crochet one or 2 or more for your LOVE! Since I had such a HUGE response during my CAL, I want to share the 20% OFF Discount I offered during the CAL! Awesome isn’t it! The Promo Code can only be used for my crochet pattern at Ravelry. 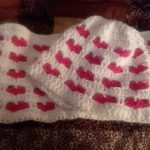 You can find the Wrapped In Love Set crochet pattern here and use the Coupon Code LOVECAL. The coupon code is only good until Valentine’s Day 2/14/2019, so grab your copy today! 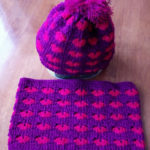 In today’s post I will be sharing the Child Size Hat & Cowl of the Wrapped In Love Set. For all 3 versions I did I used Red Heart Super Saver Yarn. You can get your own by clicking on the Red Heart link below! If you have any questions or concerns about this pattern please join our FB Group here. Or feel free to message me or leave a comment on my Blog. Once you complete your hat and cowl, I would LOVE to see your version! You can post them on any of my social media sites. When you do please use the hashtag #wrappedinloveset and #joscraftyhookdesigns. You can find all the places to connect with me at the end of this pattern! 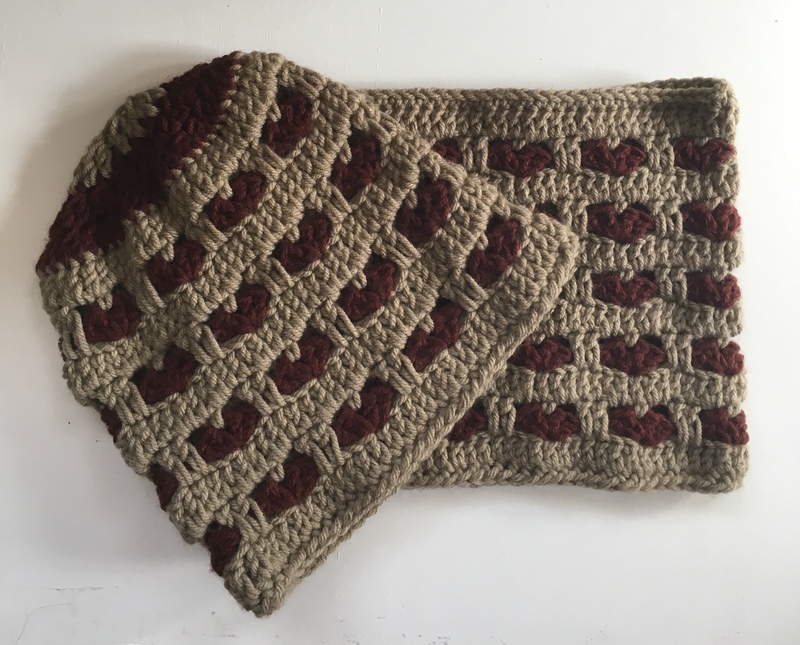 Thank you for stopping by for the Child Size Wrapped In Love crochet pattern! Share the LOVE! In getting ready for my Wrapped In Love CAL that just finished on the 3rd, I made Video Tutorials for every round/row of the Child Size Hat. I created a Playlist that has all of the videos I used in the CAL. You can find a Tutorial Video for EVERY round/row of the Child Size Hat on my YouTube Channel below. DC = Double Crochet should be 4 inches wide by 4 inches in height. Hat and Cowl are worked in the Round. 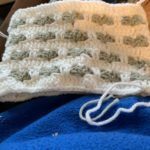 Slip stitch into the 1st stitch, the chain space or stitch specified. 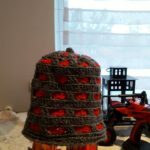 This hat and cowl are Reversible and can be worn either way. There will be a Gap between Hearts on R3. When making slip knot leave a 3” tail for sewing FSC row closed. R2: ch 3, dc in each st around. (63 DC) With a Tapestry Needle sew the FSC row closed. R4: ss in ch 1 sp of Beg Shell, ch 1, sc in same st., *ch 2, skip 2 dc from previous row, 1 ldc in next 2 st of previous Row, ch 2, sc in ch 1 space of next Shell. * Repeat from * to * 7 more times. Ss in sc to join. R6-R14: Repeat R3-R5 ending with R4 and Light Pink Yarn. R15-R17: ch 3, dc2tog around. Ss in top of ch 3 to join. Fasten off. Leave a long piece of yarn and weave R16 closed. Use Tapestry Needle to weave in ends. R2: ch 3, dc in each st around. (84 DC) With a Tapestry Needle sew the FDC row closed. R6-R17: Repeat R3-R5 ending with R5 and MC. Use Tapestry Needle to weave in ends. Because my pattern went over so well I have been adding crochet patterns to go along with the Wrapped In Love Set. I designed crochet patterns for the Fingerless Gloves in the Child/Women/Men sizes. You can check them out or even purchase the pattern for yourself here. I am going to be designing crochet patterns for Ear Warmers/Headbands in all 3 sizes soon, someone from Facebook gave me this GREAT idea! I would LOVE to thank everyone in our Facebook Group Crochet-A-Long with us for participating in my Wrapped In Love CAL 2019! If you are looking for a group to join so YOU can participate in a Crochet-A-Long, ours is the BEST! There are many more ahead! You can find our CAL Facebook Group here. The Wrapped in Love Set is one of my patterns I feel the strongest about. I designed it with LOVE in mind for the women in my family who have beaten cancer and for those that are facing it now. I also LOVE it because I was able to get my family involved in this project. They supported me, helped with the design and allowed me to use them as the models! They are true Survivors and the inspiration behind this pattern! Anyone who has beaten cancer are true Survivors and an Inspiration to their loved ones, friends, and even complete strangers like me! Please show YOUR support for Cancer Awareness! Thank you for trying the Wrapped In Love Set Pattern! You can check out my other FREE crochet patterns here at my website joscraftyhook.com While you are here be sure to add your email address to my Mailing List and Newsletter. This way you will be notified when I release another pattern; have a sale; or produce another blog post! If you have any questions or concerns about any pattern find me at Jo’s Crafty Hook Designs on Facebook here. Every purchase of my patterns helps! It allows me to keep my website going and to buy more yarn so I can create and design more Handmade Crocheted Creations for you to enjoy. You can find ALL of my patterns at the Ravelry Store here. You are free to sell or gift the Wrapped In Love Set, but this pattern is copyright protected. Please forward anyone who would like to do this pattern or any other one of my patterns to my Etsy shop, the Ravelry Store, or here on my website. The web addresses for any place to connect with me are listed below. I would LOVE to see your version of my Wrapped In Love Set! Use the hashtag #wrappedinloveset or #joscraftyhookdesigns. You can upload it to any one of the places below that allows you to connect with me! Pictures, Comments, Feedback, etc. are ALWAYS welcome here at my website www.joscraftyhook.com! 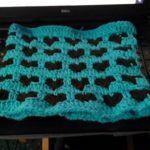 If you do not know how to Crochet, but would love to learn, Annie’s has some great Online Classes! Click on the link below to find out how to enroll! Find me, Joey Lea Baird, Jo of Jo’s Crafty Hook and Jo’s Crafty Hook Designs at any one of these places listed below! 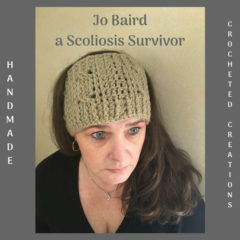 As a Scoliosis Survivor I want to help you to be able to crochet or find some kind of activity that you can do to help YOU cope. Bluprint has online classes, DVDs, Videos, and Kits that YOU can get as a way for you to create something beautiful. 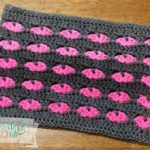 Most of my crochet patterns are created and designed for those of us who suffer chronic pain in one form or the other. My designs are not long, but created short so you can do one and feel that Great sense of accomplishment! 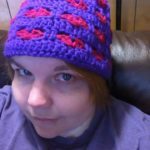 Crocheting helps with Anxiety, Depression, OCD, and many other diseases. So browse around my website or try kit from Bluprint by clicking on the link below. If you are like me and suffer from Chronic Pain due to Scoliosis why don’t you try CBD Oil. It has so many benefits and is good for so many chronic diseases. Click on the link below and find out how you can benefit from CBD Oil.